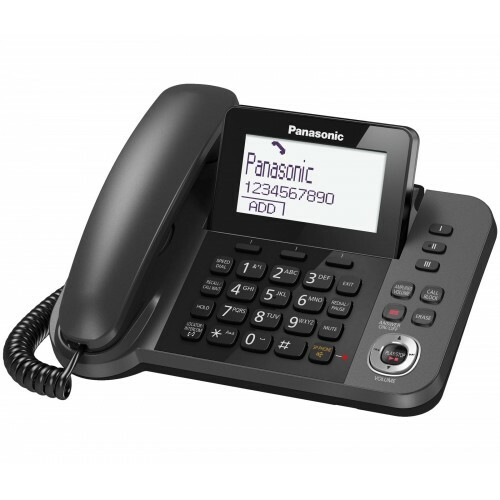 The Panasonic KX-TGF325E is a corded landline phone with 4 additional cordless handsets and an integrated digital answering machine making it perfect for home or office use. 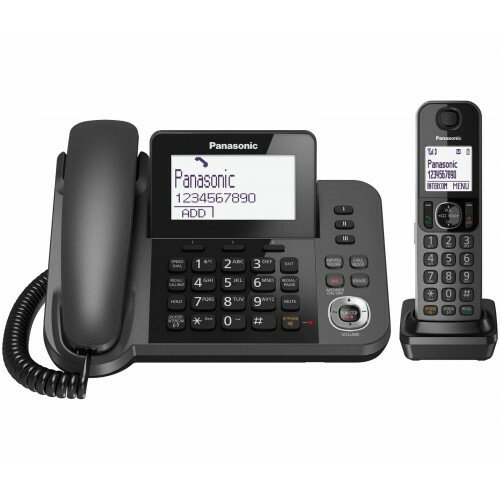 The included Panasonic DECT repeater can be used to double the range of the cordless handsets. Other key benefits include: 40 minutes recording time on the answer machine, crystal clear sound quality, and nuisance call blocking. Both the corded base telephone and the cordless handset benefit from a large user friendly monochrome display. 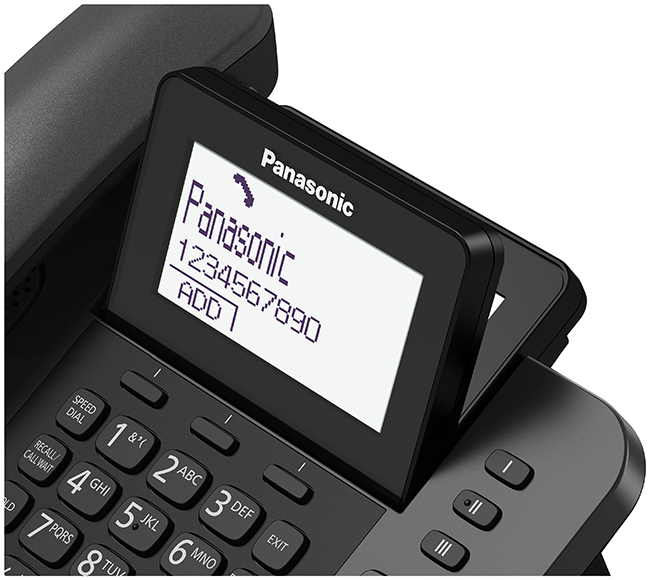 The 3.4” screen on the corded unit is tiltable so that you can adjust for optimum positioning, and there are 3 programmable one-touch dialling buttons for your most frequent contacts. 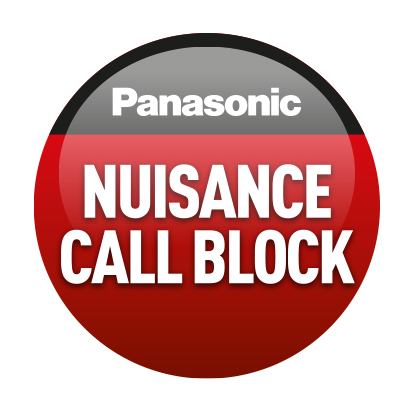 Put an end to nuisance calls with the Panasonic KX-TGF325e’s intuitive nuisance call blocking. Block specific numbers or entire groups of numbers (by adding the first 2 to 8 digits of, eg. 07, 08) along with withheld numbers. And the one-touch call block buttons makes it easy to add new unwanted numbers into your blacklist. You can also activate the Do Not Disturb mode for times of the day or night that you don’t want your phone to ring at all. 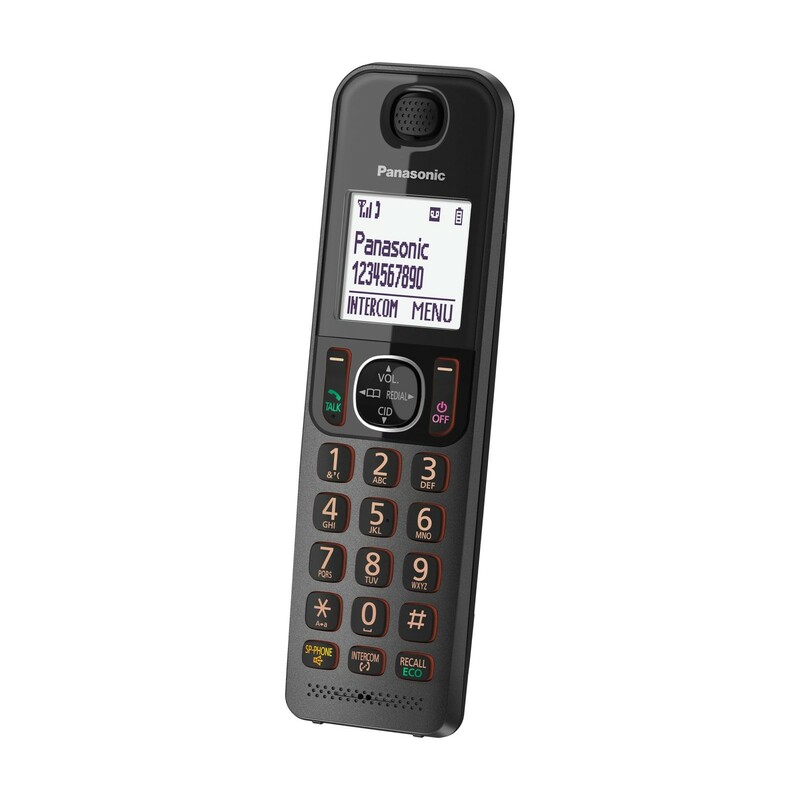 There is phonebook memory for up to 100 names and numbers, which can be easily shared between the corded and cordless unit. Details of your most recent 50 calls will be logged in the Caller ID memory. 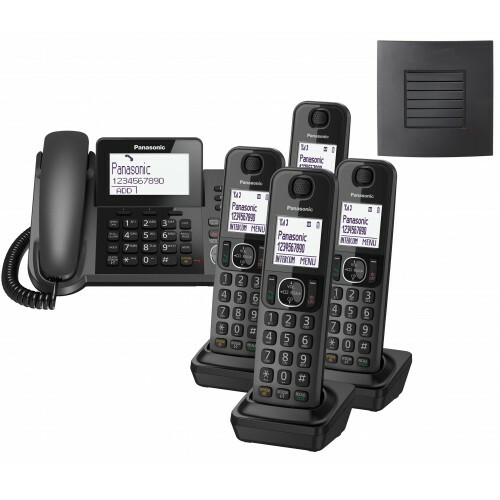 Further benefits include the facility to transfer calls and intercom between the two units, handsfree loudspeaker, and talking Caller ID. The Panasonic KX-A 405 is a reliable DECT repeater designed to double the range of your cordless phone system. 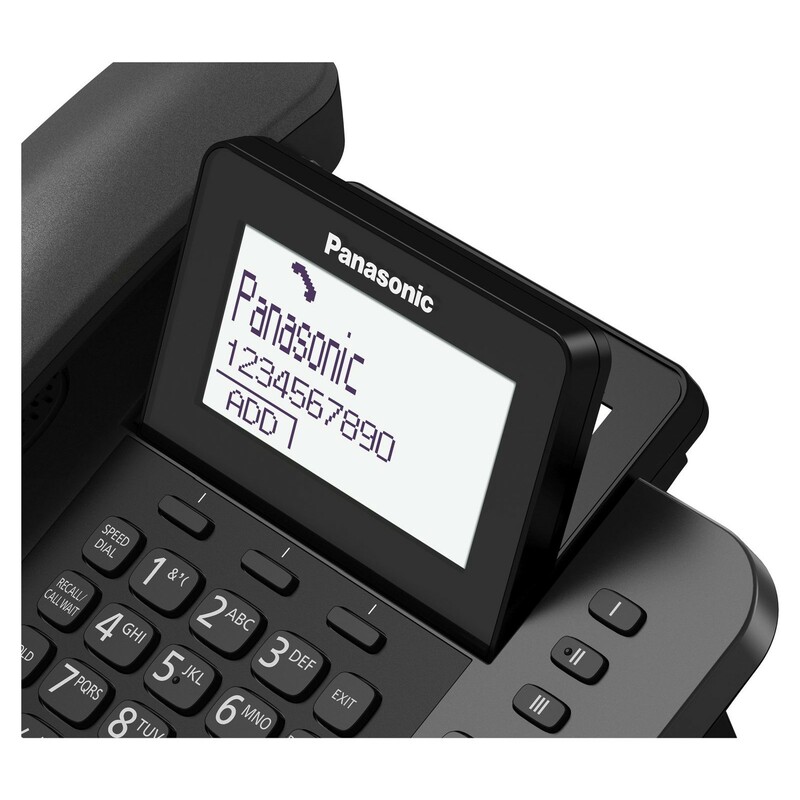 Featuring a convenient, wall-mountable design and quick and easy installation, the repeater allows you to make and receive phone calls while moving around anywhere within range of the repeater or the base station. Why should you buy this corded & cordless telephone combo? 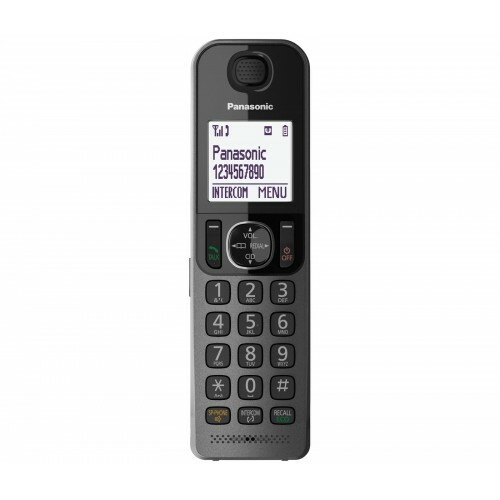 If you’re looking for an easy to use landline phone for the home or office that gives you the advantages of both corded and cordless then the Panasonic KX-TGF325E is a reliable choice. Terrific set of phones. Very easy to set up. Additional range provided by the repeater now means we get total coverage.